Coast Central Credit Union (CCCU) serves members throughout the California Counties of Humboldt, Del Norte and Trinity. The area is largely rural, located along the far “North Coast” of California. At $1.4 billion in assets, Coast Central Credit Union is a key part of the communities it serves, with a total of more than 68,000 members, making it the biggest locally-owned financial institution. There are 11 locations in eight cities across the three counties, with two offices providing extended hours evenings and weekends. For many years, the North Coast community has had challenges with Internet service. Due to the remote location, most of the Internet infrastructure is located out of the area, depending on a handful of long-haul fiber connections to hubs further south that regularly go down. The result is a loss of Internet service for most of the community, as well as a loss of WAN connectivity to one or more Coast Central locations. One office is a full three-hour drive away from the main office often requiring the dispatch of repair support technicians. There are numerous external factors that Coast Central cannot control, and these factors may affect business on a daily basis. 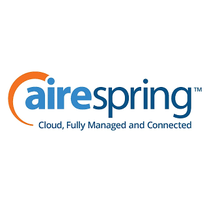 AireSpring agreed to help Coast Central support the existing carrier and expand service to include a wide variety of carriers and circuit types available in each of the eight cities and 11 remote locations, allowing Coast Central to mesh many different carriers into one dependable, cohesive WAN network.